The incredible Dr. Nooshin Razani strikes again. She wrote for REI on the urgency that all children must have access to nature. She has spent hours researching nature’s healing properties – whether a family is undergoing trauma, a child is overwhelmed by feelings of exclusivity from another group – or whether physical health problems (cancer, cardiovascular issues, etc.) are at issue for a patient. As always, her words and her findings are remarkable. Hear them here. Ten years ago, after I became a parent, I dedicated my medical career on children and nature. As I watched the power of nature in my children’s lives, I understood the power it has in my own well-being and felt an urgency in ensuring that all children have access to it. On a personal level, nature is the common ground for my two worlds and one of my deepest relationships. I am a first generation Iranian-American, born and raised in Los Angeles, with several of my preschool years and many summers spent in Iran. Both cultures were full of nature and play with beautiful, loud, optimistic and loving people–from cousins on picnics in the mountains of Iran to vibrant friends at the beach in Los Angeles. These early experiences provided a reservoir, a relationship with nature, that has helped sustain me through life’s inherent traumas. I practice pediatrics at the UCSF Benioff Children’s Hospital Oakland, where I’m thrilled that prescribing nature has become an integral part of clinical treatment. When we prescribe nature, we enroll families in a monthly nature shuttle. Designed in collaboration with the East Bay Regional Parks District, and through the generous support of community partners such as the East Bay Regional Parks District Foundation, National Recreation Parks Administration, and the REI Foundation, our program has allowed doctors, naturalists, and patients to join each other in more than 30 outings from the clinic into nature. We have hiked, fished, sung songs around a campfire and explored tide pools–all for health. 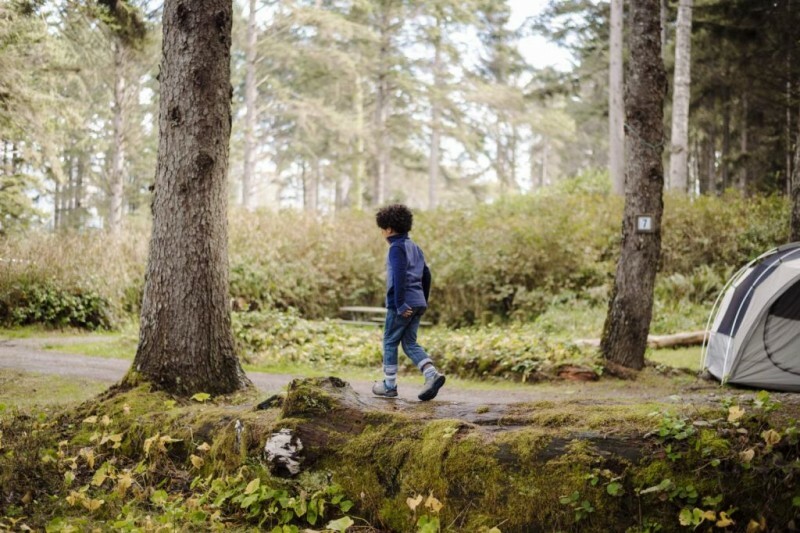 Through the process, we have created some of the first-ever validated protocols for physicians and health systems to integrate nature-based interventions into practice, and recently completed the first randomized trial of a park prescription program. READ HERE TO CONTINUE HER WORDS ON PRESCRIBING NATURE FOR HEALTH.